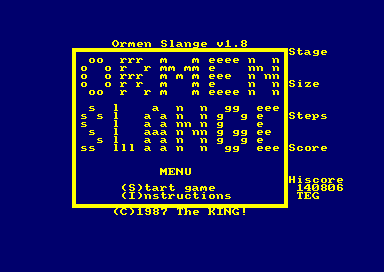 Years ago when I transferred all my CPC disks to PC I found a small basic game I made as a school project back in 1987. I then forgot about it, and have "rediscovered" it a few times and done some small changes to it along the road. The code is a mess, but it works and I remember getting top grades for it in school. One day I'll clean it up properly. I made it in GW-Basic on the school MS-DOS computers, and at home on my CPC464. I remember that the collision detection were done differently on the two versions, finding it much easier to do on the Amstrad as I could easily access the screen memory. I would compare the quality to those games you could find as type-ins in magazines. 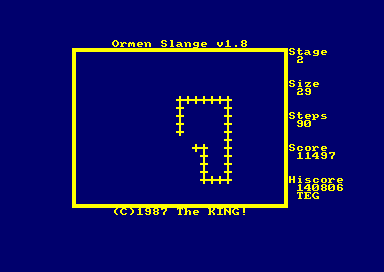 The game is a simple snake game called "Ormen Slange", which is Norwegian and means something like "The Serpent Snake". The name is a word play on the name "Ormen Lange" (means "The Long Serpent") which is the name of a famous Norwegian viking ship. 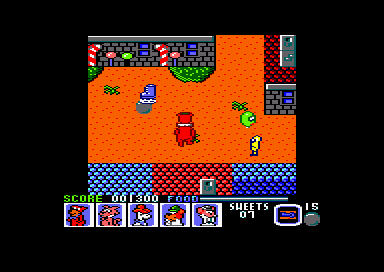 The game is controlled by the keyboard arrow keys, and the object is to "eat" the numbers that appear. There were a few bugs where a number would disappear or a character that makes up the snake would disappear, and I remember calling those "features" and not bugs back when I made it ;D I blamed it on "sand" covering the "food" or parts of the snake. 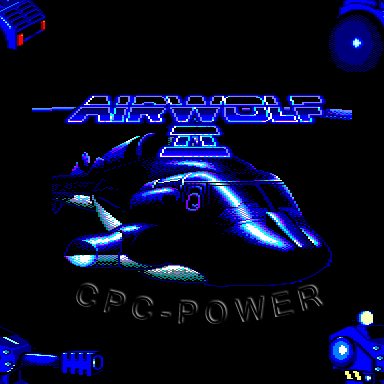 No fancy graphics, just standard CPC characters, but quite fun and playable. The speed increases from stage to stage, and from stage seven the duration of the stages increases. If you set a hiscore you can enter your initials, and it is saved. The crash/screen garbage routine was something i found somewhere some years ago, but can't remember where. I just know that I didn't make that.